i upendo her. 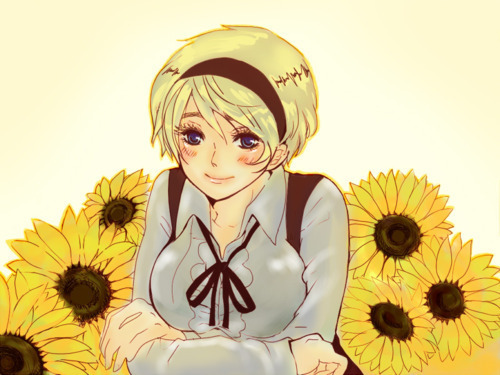 shes my inayopendelewa girl in Hetalia and one of my inayopendelewa girl characters period. however i actually dont pair her with anyone. and maybe the reason she's paired with so many people is cause theres really no hints for any pairing to do with her in the actual hetalia, so people just think of bila mpangilio people...? not sure. But back to the topic, I pair Ukraine with either Canada au Russia. Usually Canada though. And the fact that it seems that she's paired with so many characters, I don't really know. Maybe people just like crack au whatnot? I like her with Canada. Turkey/Ukraine would make sense, too. Well, a lot of characters are paired with a lot of different characters. Especially the female ones. I don't really see Ukraine being maarufu thing at all. But maybe I just need to get out more, even if I upendo her like a upendo song, baby. I pair her with Estonia, Canada, and sometimes Turkey. I pair her with Russia, Estonia, and Turkey. As for why she is paired with everyone, i guess its because she is an easy character to understand. Not to mention that she is quite compatible with a lot of people. I ship her with Hungary, to be honest. I think she was paired with so many people because others can see her fitting perfectly with the other countries. 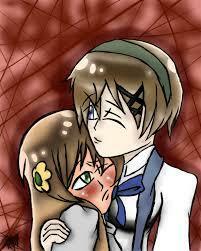 But she's not like Seychelles who was being paired with almost all of the guys in Hetalia.